Index funds can’t choose to sell stocks. But the $4.5 trln fund giant is engaging more with companies and in the past year voted against management at Exxon Mobil, Viacom and Wells Fargo on climate change, pay and the like. It’s hardly activism but it beats pure passive investing. 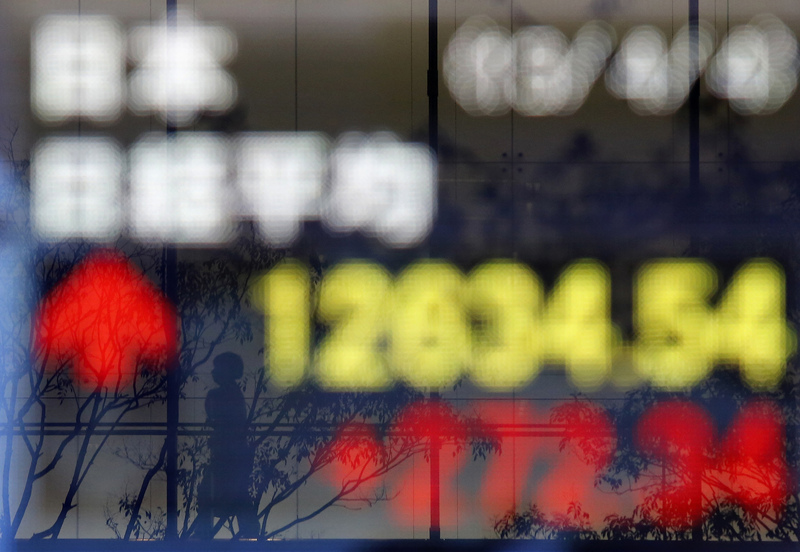 A passerby is reflected in an electronic board showing Japan's Nikkei average outside a brokerage in Tokyo April 4, 2013. Vanguard on Aug. 31 said it engaged with 954 companies around the world on governance, pay and other issues in the 12 months ended June 30, an increase of 17 percent from the previous year. The mutual-fund manager voted in favor of 47 percent of board-related proposals introduced by outside shareholders at U.S. companies in the latest proxy season, up from 17 percent in the previous year, the company disclosed in its annual investment stewardship report. It supported management in 96 percent of say-on-pay votes, the same as in the previous year, 86 percent of other compensation-related proposals, up from 83 percent previously, and 90 percent of governance-related proposals, down from 91 percent previously.